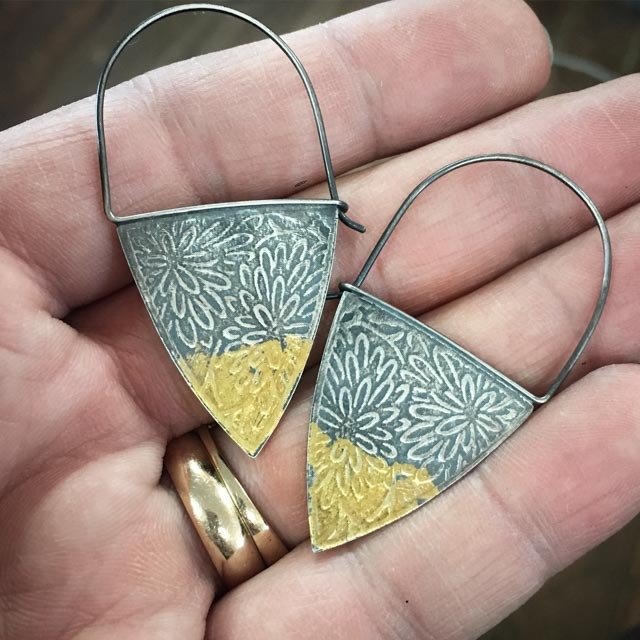 When I first watched our keum boo workshop video, Keum Boo Techniques: Add Gold Foil to Silver Jewelry with Joe Korth, I couldn’t believe how accessible and affordable it is to create keum boo jewelry designs. 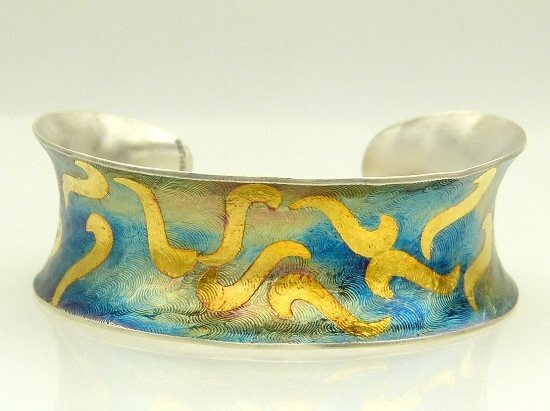 It looks like it must be some form of complicated, magical jeweler’s alchemy, but it’s truly an achievable technique that you can do with affordable gold foil and common tools you probably already own. The torch you use for other metal work, a heat source such as a hot plate, tweezers, and something to act as a burnisher are all the tools you need! 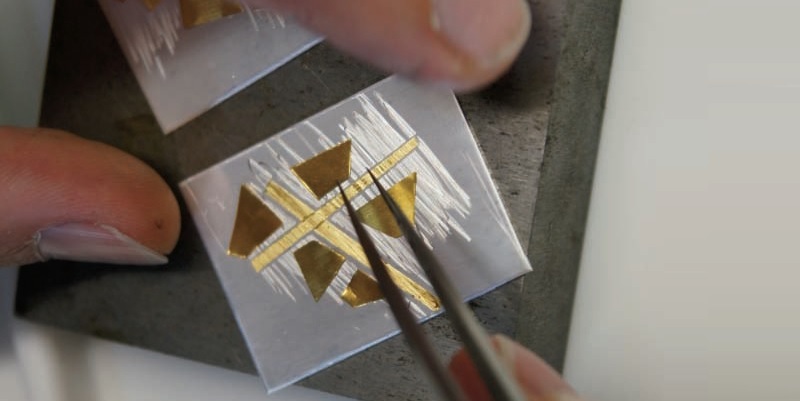 The immediacy of this hands-on technique is very appealing to this impatient maker, too. 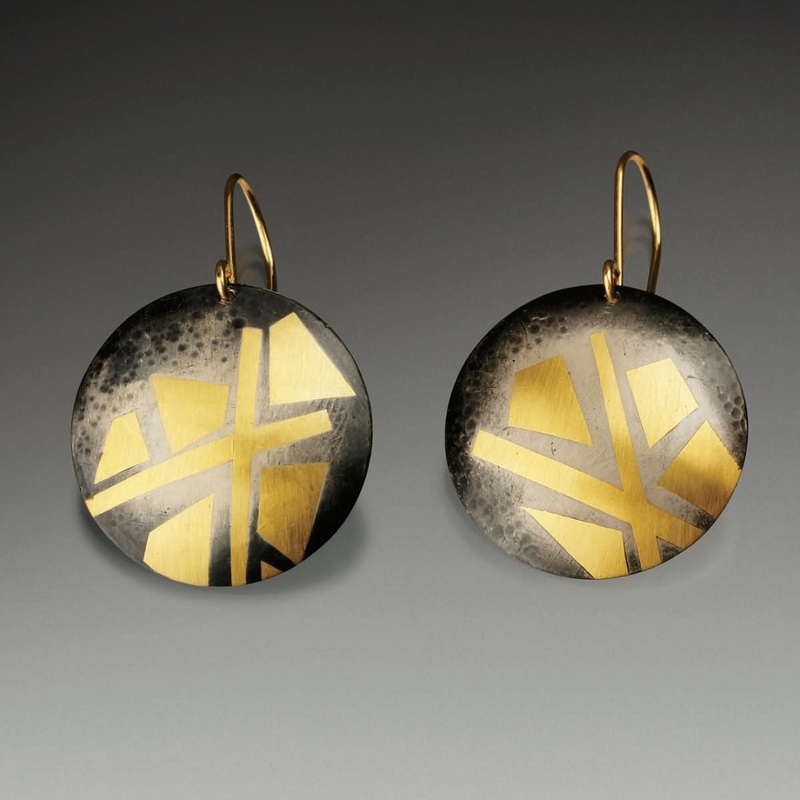 Keum boo earrings tutorial by Joe Korth, from the March 2014 issue of Lapidary Journal Jewelry Artist. 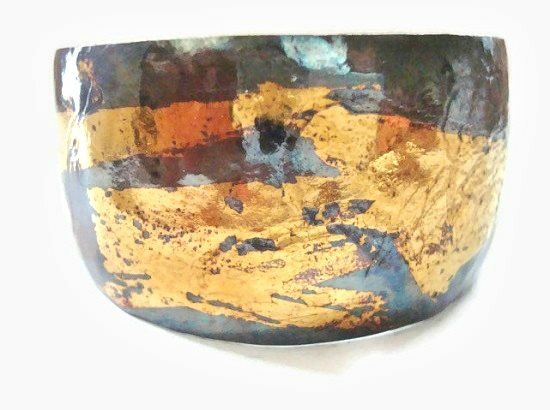 I believe the greatness of keum boo jewelry comes from smart design, from creating pieces that will soar with the addition of a well-placed splash of pure, rich gold. 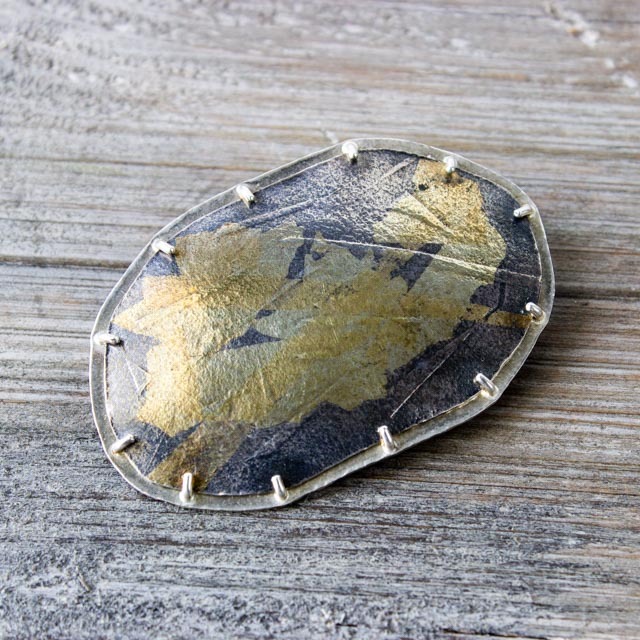 I love seeing how other jewelry designers use keum boo to kick their jewelry designs up a notch, like these gorgeous keum boo pieces by talented jewelry artist friends and makers I found on Etsy. Thanks to all of them for allowing me to share their work with you. Be inspired! 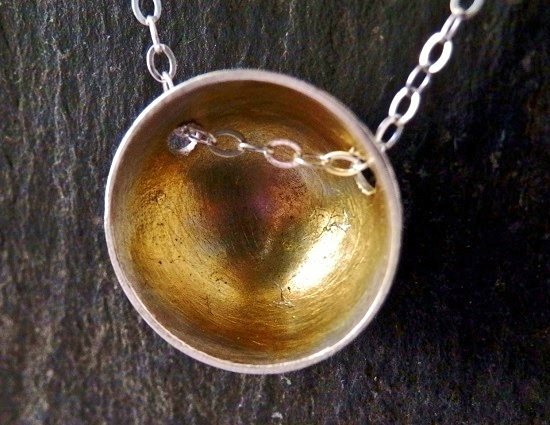 Keum Boo Redemption Pendant by Francesca Watson of The Makery. Keum Boo Brooch by Francesca Watson of The Makery. Keum Boo Earrings 1 by Francesca Watson of The Makery. When you’re ready to learn how easy keum boo can be, there are three great ways to learn. 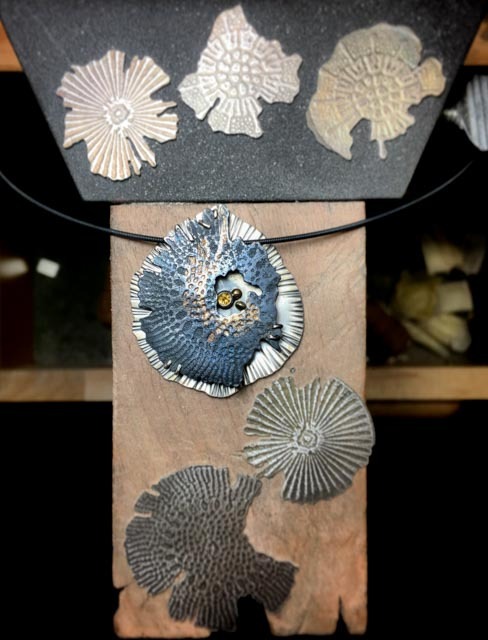 Take the interactive workshop based on Joe’s video, or instantly download or order Keum Boo Techniques: Add Gold Foil to Silver Jewelry with Joe Korth and learn how to add the richness of pure gold to your own jewelry! 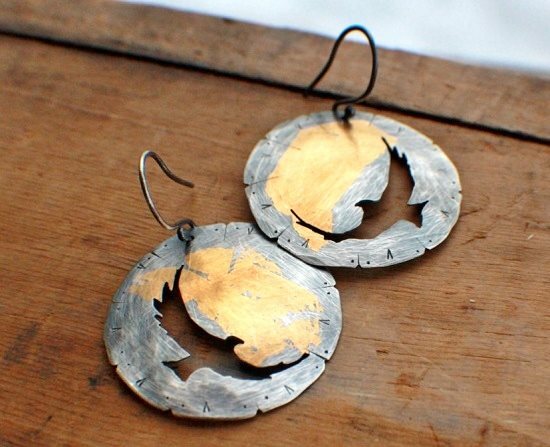 Master the ancient art of keum boo jewelry designs with these resources! Moonstone Pendant Wire-wrapped in Fine Silver with Swarovski Crystals & a Pearl.